Preheat your oven to 350°. 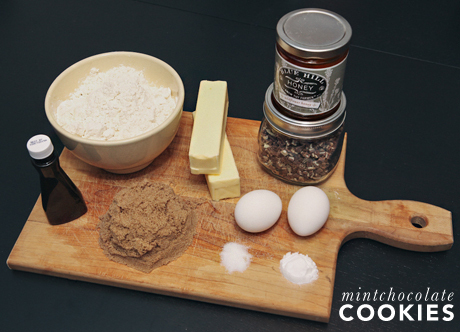 In the first bowl, mix your flour, basking soda, and salt and set aside. In a large bowl, beat the butter, brown sugar, and honey with a mixer. Once blended, mix in the eggs and and vanilla until the mixture is fluffy. Slowly add in the flour mixture and beat it create a dough. Once all of those ingredients are together, fold in the mint chips. 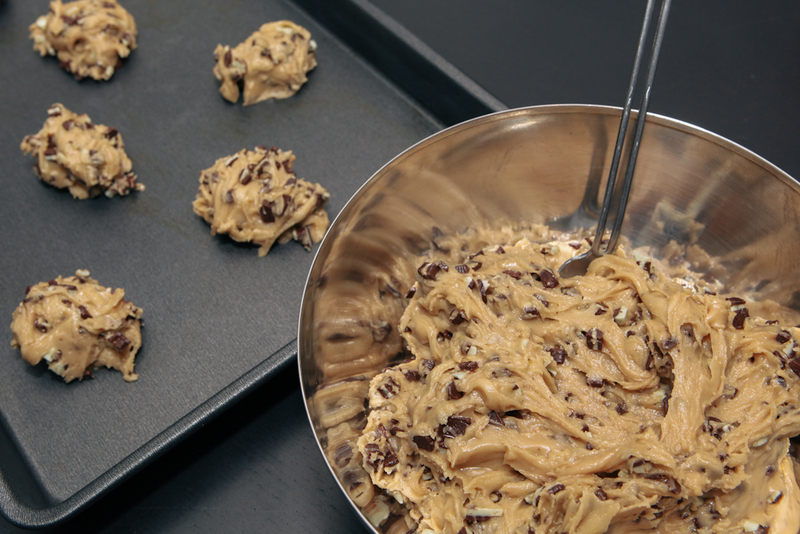 Your cookie dough should be of a fairly stiff consistency — enough to create mounds like this on your cookie sheet. Scoop the dough by the spoonful and put in the oven for 10-12 minutes. 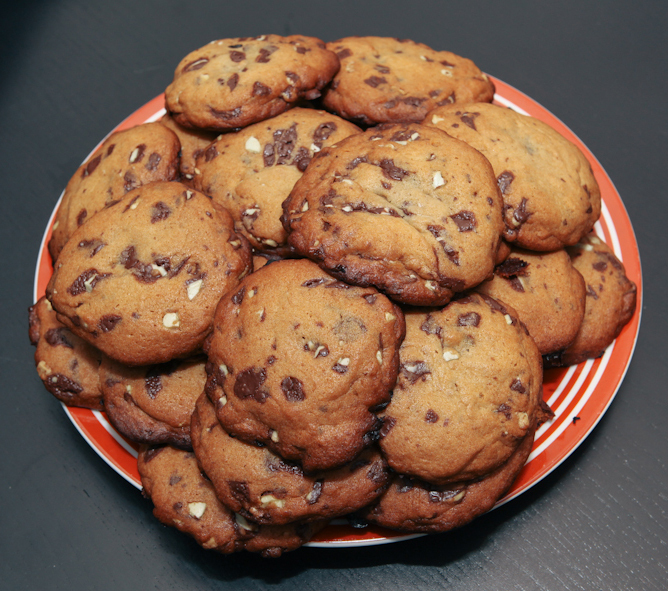 Since I normally do two pans at a time, I rotate them on the rack every five minutes to get an even bake. The begin to turn a nice brown color along the edges and you know they're done! The honey and brown sugar keep the cookies nice and fluffy — perfect for dipping in milk or making ice cream sandwiches!